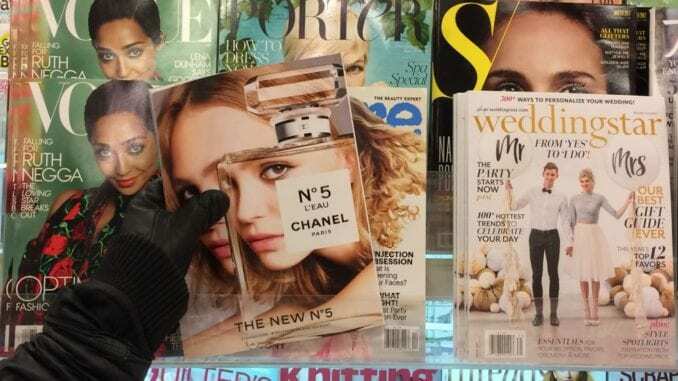 Local woman Annie Loewen, 73, was arrested yesterday at the local Shopper’s Drug Mart after turning over a particularly provocative cover of Vogue magazine that she found offensive. In her defence, Mrs. Loewen explained that just no one should have to look at such images in the checkout lane. Mrs. Loewen confesses to having turned over hundreds of magazines in stores throughout Leamington during the past few decades. Loewen was forcibly removed from the store, but not before desperately reaching with her one loose arm and succesfully turning over a copy of Cosmopolitan.